North Staffordshire Community Rail Partnership has recognised the fantastic support and help provided by TESCO Community Champion Richard Evans to Kidsgrove station with a special award. Richard, who is based at Kidsgrove TESCO, has supported his local station in so many ways in recent years: providing funding for gardening equipment for the station volunteers, and donations of plants for the station gardens; arranging with TESCO to provide lunch refreshments for station community days, and also rolling up his sleeves (and recruiting others) to help out at all station events. 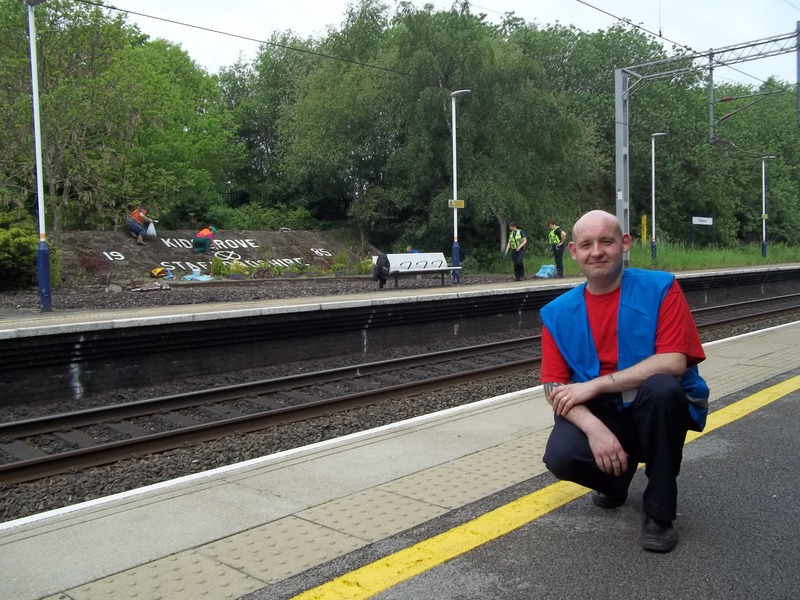 The boost he gives to the station volunteer team through his unstinting support is immeasurable, as Faye Lambert, Community Rail Officer, says: “Richard is an absolute star for Kidsgrove. The help he provides to the station volunteers goes above and beyond his role for the store. “We wanted to thank him and show how much we appreciate his backing and how it has helped to improve the station. So with East Midlands Trains’ blessing, we invited him to attend their annual station adopters meeting under the guise that ‘he would see how the support of local businesses is fundamental to community rail’ !